Send your loved ones a gift of happiness, good luck and good fortune. 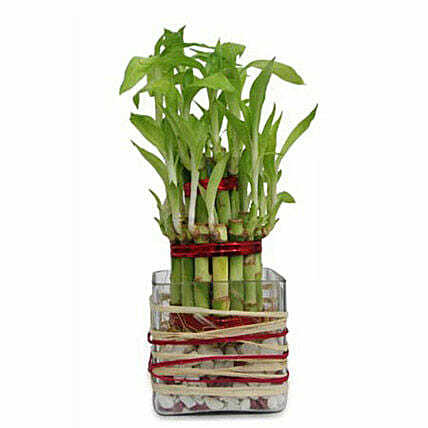 This two layer good luck bamboo plant extends your warmest best wishes. Resting on a bed of pebbles inside a glass vase, its a gift of calm, serenity and grace.